News releases, advertising letters, and communications of all manner and shape pour into ManipalBlog.com’s inbox, by the page full each week. Occasionally there is one which, because of its unusualness, is not archived in the spam bin, located in a dark end of our email account below a folder of hate mail and obsolete and desperate requests to sponsor our blog. Early this week, inspired by our ground breaking post on the Seasonal Frogs of Manipal, such a mail arrived from Frogger’s Camp, Parkala, advertising the Shack Point Jumping Frog Jubilee. This statement is very true. Any frog jumping talent existent at Manipal is as yot untapped. 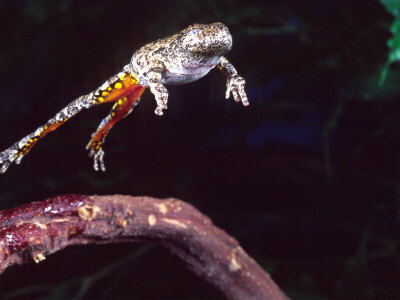 Furthermore, there is a conspicuous absence of talent tappers at present in the frog jumping field. If, by chance, a Manipalite should enter a frog (Rana pipiens, Rana palustris, or any of the other amphibious Rana-series) and that entry should break the world record (16 feet, 10 inches) he would receive 1,000 frogskins. The letter cleverly explained that frogskins may be traded in for money at Rs.100/- per skin. P.S. : ManipalBlog does not advocate killing of these highly endangered species for fun or otherwise.